How understanding dreams allows us to tap our innate creativity during the day. In 1996, one of Google’s founders dreamed of downloading the entire Web onto his PC. Upon waking, he wondered if it was even possible. It involved too much data, but the information could be saved as links. The rest is history. We spend one third of our lives in a condition of sleep that allows for enormous creativity. When we dream, consciousness recedes and the mind is released from the logical stranglehold cognition places upon it during the day. REM or rapid eye movement proves everyone dreams every night. The scientific discoveries that came from dreams are numerous and include relativity, natural selection, the periodic table and the structure of the atom. The saying to “sleep on it” comes from the common knowledge that when working on solving a problem—we often wake up with the answer. When we examine the differences between the dreaming and waking perspective, we can learn to tap our innate genius during the day. Creativity is not cognition’s strong point, but it is as if we have two minds. The waking mind applies cognition to organize ideas by measuring outcomes. During the day, the mind is especially focused on what is wrong or out of place in the environment. Its survival bias protects us, but thwarts change whenever possible. We dream about what we are not allowing into conscious awareness. When we dream, the controlling part of our mind gives way to a more primitive awareness. We explore existence through associations that stir our emotions, and emotional release appears to be the precursor of change. Waking from this more holistic awareness back into our logical perspective is the reason most people don’t remember their dreams. During dreaming, aspects of cognition are suppressed, specifically areas associated with logic, memory organization and a subjective sense of self. This shift in perspective allows for the more objective exploration beyond our paradigm, and creativity is always the outcome of viewing life beyond the ordinary. Innovative thinking requires a sense of discovery without ego attachment and assumptions. This allows inspiration to flow freely. Just as the greatest actors and artists transcend any sense of self, when we focus more on the process of discovery and less on the end result, we give birth to something that captures wonder. Dreams are abstract, and cleverly condense symbols into a new meaning. Similar to how metaphors are used in poetry, ideas are amplified through associations that will achieve the highest emotional resonance. For example, a lack of fulfillment is explored in a dream of a kitchen appearing in the middle of a desert, or in a repetitive dream of finding something valuable locked in a freezer. A red suitcase offers clues about passion in an otherwise blase setting. This juxtaposition of the bizarre allows for the examination of how we disconnect from authenticity. Once explored, answers emerge that will inspire changes that can lead to greater fulfillment. This juxtaposition process can inspire us to take any basic idea and compare it to virtually any other idea. We can even take our business model and explore it against the disruption occurring around us. Through this exploration of similarities, differences or how two unlike things can be contrasted or combined, we come up with something truly innovative. Dreams use symbols to describe what is happening in the inner world. Bathrooms reveal how a dreamer is attempting to ‘come clean,’ explore deeper intimacy, or become honest with themselves. Trickster characters embody how the dreamer might laugh at their serious attempts to be certain. A tree house portrays how the dreamer is moving closer to their organic foundation or authenticity. Immediately following a breakthrough dream, the police might show up as if the psyche seeks to abide by its established rules or beliefs. Dreams can inspire us to view life differently. We watch the wind in the trees, but will never actually see the wind. The wind is the result of high and low pressure systems dancing together. 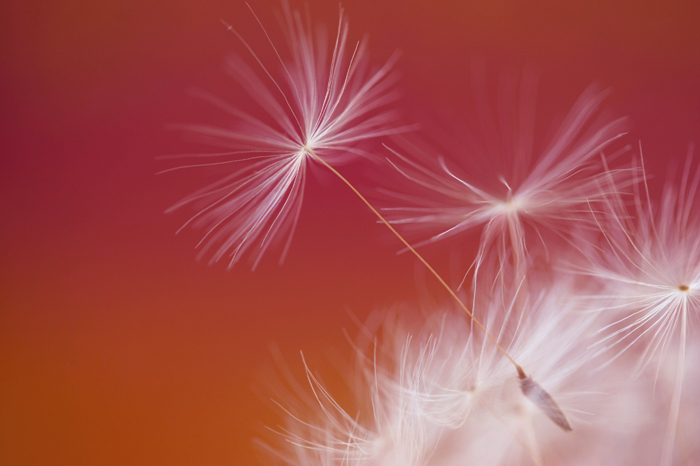 We watch a dandelion seed float by, and fail to see how the wind and the dandelion are ‘mating’ in a form of reproduction. The ripples on the surface of a lake might inspire us in how the mind splashes with emotion that affects everything around us. Our sense of feeling separate from life’s inter connectivity leads us to see everything in the same way, day after day. We can use cognition to organize our ideas or to set a framework, but to allow our inner genius to achieve breakthrough thinking, it is better to go for a run, clean the house or do something of a routine so cognition abates. Dreaming is born from a foundation of wonder and when we actively question our assumptions, we can’t help but become more creative.